I've been given some lace fabrics to help identify by the local museum. 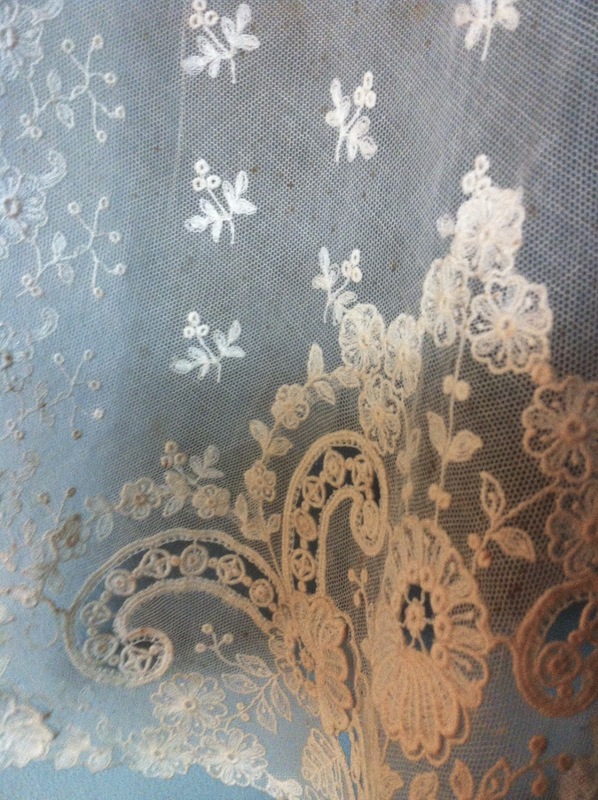 No mean task; machined lace can be antique and without being able to do a burn test, the fibers are ellusive. * Then is it bobbin or needle, applique or loomed? Not to mention the wealth of technique that should reveal its very own gimp thread knotted forever to a small village somewhere in Europe - Europe is quite big. I'm off to talk to an expert in such matters and drink in their knowledge vicariously. More on that later.